The 2015 Toyota RAV4 is an evolution of the successful compact SUV they have been making for years. Shop Lipton Toyota in Fort Lauderdale for the entire lineup of Toyota cars, trucks and SUVs, from the little Yaris to the Sequoia. You'll be surprised at how easy we are to get to, especially if you live in Weston, Hollywood, or Deerfield Beach. 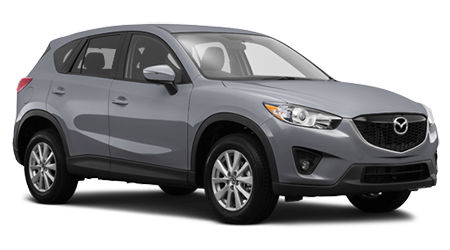 Mazda's 2015 Mazda CX-5 is also a good choice for a compact crossover SUV, but in quite a few ways, it's just not as good as the Toyota RAV4. Both of these compact crossovers are powered by fuel efficient 4-cylinder motors. The base motor in the Mazda is a 2.0-liter 155hp 4-cylinder, and in order to get the larger option you need to choose all-wheel drive or the next trim level up. The Toyota comes standard with a 2.5-liter 176hp 4-cylinder, even in the most basic model. You may think the smaller motor would get you better fuel economy, and it does slightly in EPA testing, but in real world use you may never notice those 2 extra mpg city and 1 highway. If you didn't want room to carry cargo you would have opted for a small sedan, instead of a crossover. The RAV4 makes the most of its more upright rear door with more than 4 cubic feet of extra cargo space, compared to the Mazda CX-5. Toyota manages to fit that in a vehicle that is just 1" longer overall, and actually has a 2' smaller turning circle. 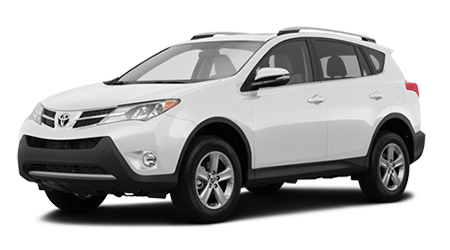 If you want a compact, and need the extra space of an SUV the 2015 Toyota RAV4 is one of the best choices you can make. Stop by Lipton Toyota in Ft. Lauderdale and let our friendly sales staff show you all of its many features.